South Africa’s new cryptocurrency exchange OVEX will offer a new kind of interest account where users earn up to seven percent on their wallet balances. This feature helps the exchange to stand out among its peers in South Africa. OVEX is a new digital asset exchange that offers over 18 cryptocurrencies such as Bitcoin Cash, Bitcoin, TrueUSD, Bitcoin SV, Tron, and Crypto20. Additionally, the exchange provides users with mobile-ready services where they can buy or sell currencies instantly. OVEX also offers a secure, decentralised identity service. Perhaps most interestingly, OVEX will also offer interest-bearing accounts where investors can receive seven percent interesting on their digital asset holdings, according to its website. Other perks that come with using OVEX include the ability to buy and sell digital assets with the South African Rand and purchasing cryptocurrency at international rates without paying a premium. This benefit is thanks to a collaboration between OVEX and San-Francisco based company TrustToken Inc, which enables users to buy TrueUSD at bank rates and have it deposited straight to their OVEX wallets. TrustToken is the company behind TrueUSD. A third-party audit report recently showed that TrueUSD has actual US dollar backing. As of March 31 2019, TrustToken was holding $199,063,885 while the TrueUSD tokens issued were 198,982,291. OVEX also uses artificial intelligence to verify the identity of users withdrawing more than R20,000 (§1,435). The verification process takes only minutes. Blockchain identity company Civic played a role in making this feature a success. Furthermore, with OVEX, you can fully access an API with your account that allows you to trade programmatically using data. OVEX has received an undisclosed amount of money from Newtown Partners, a venture capital firm run by international entrepreneurs, Vinny Lingham and Llew Claasen. Lingham is a Shark Tank investor and Civic’s chief executive officer while Claasen is the executive director of Bitcoin Foundation. “South African’s have a deep interest in cryptocurrency and bitcoin especially. It is my hope that OVEX will provide South Africa a secure, affordable, and fully featured avenue to get into the crypto space,” stated Vinny Lingham. According to a report by The South African, OVEX will be releasing a podcast series with the aim of getting more South Africans involved in the global conversation on the future of blockchain technology and cryptocurrencies. Bitcoin Africa sat down with Bitsoko CEO Frank Deya to discuss what the Kenya-based blockchain startup has been working on and what the future holds for the company and the market it operates in. Bitsoko is developing a mobile money wallet app and a point of sale (PoS) service that allows micro, small, and medium enterprises to promote sales through promotions and loyalties and manage their businesses online. 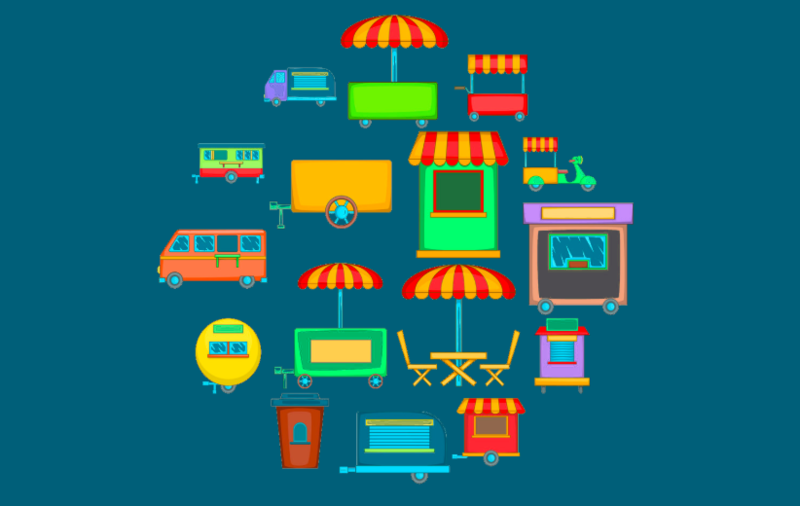 The app allows merchants to accept payments for their goods or services via bitcoin or mobile money. “I would say the interest [surrounding the app] has grown significantly and we are on the right path so far. The biggest challenge remains technical. We are, however, working around this by initiating collaborative programs with other blockchain developers. We are confident that scaling this service will not be a hurdle once we launch,” said Deya. The Bitsoko app allows merchants to receive customer feedback while offering customers loyalty points, promotions, and delivery options. The app also enables merchants to manage their inventory and to keep track of their bills. Bitcoin and altcoins have been gaining popularity in Kenya as more people trade, hold, and use these currencies. However, Deya says the conversation is moving beyond bitcoin. “At Bitsoko, we are placing our bets on tokenisation, which presents an opportunity for businesses to digitise their assets. It is an area we are very keen on pursuing, we want to ‘tokenise Africa’. “Tokenisation will lead to the creation of new wealth, enhance transparency, and seamless transfer of assets among other benefits,” he added. The crypto space in Kenya remains unregulated. However, regulators have issued warnings against initial coin offerings (ICOs) and cryptocurrencies. Recently, the Kenyan Parliament gave the Treasury two weeks to decide the fate of cryptocurrencies in the country. Inclusive participation could be helpful in ensuring that regulators get to protect consumers from the potential risks cryptocurrencies pose without compromising the livelihood of Kenyans in this space. “The issue of cryptocurrencies is evolving and we can take a position as a country. This is a delicate balance between supporting innovation and killing it,” Treasury cabinet secretary Henry Rotich said. Bitsoko intends to solve the problems of high mobile money fees and safety by offering transaction fees as low as 0.5 percent and providing users with their transaction history so that they can better manage their money. In addition, Bitsoko plans to offer users access to a wide range of financial and payment services through its mobile app. “We are bringing together the versatility of blockchain-based technology and the good attributes of mobile money. To do this successfully, we are working with local industry players as well as merchants to make their services available on the payment network. By integrating specific services such as energy providers, paying bills, payroll solutions for merchants in Kenya, we hypothesise that these easy-to-use services will create a system that can support small-scale payments in all aspects of financial lives,” says Bitsoko. Despite the cautions the Central Bank of Kenya has issued against cryptocurrencies, the crypto space is growing in the East African nation unperturbed with projects such as Bitsoko working towards changing the mobile payments sector. ChamaPesa is a Kenyan blockchain startup that aims to help chamas improve their bookkeeping systems. Initially, ChamaPesa was registered as a self-help group after its conceptualisation in November 2012. The self-help group, which ran for three years, was made up of members from Kibera and Karen, Nairobi. Ian Grigg and Ken Griffith, working with Kenyan developers Lee Mungai and Julius Sekah, created this original version of ChamaPesa. Later, Grigg and Griffith were joined by Marc and Simone Bean. Grigg, Marc, and Simone are the founders of Solidus, a Bermuda-based mobile payments and clearing platform, which is behind the development of ChamaPesa. Griffith is the business development lead of Solidus. Michael Kimani, the chairman of Blockchain Association of Kenya, joined ChamaPesa as the Kenyan team leader in 2017. A chama is an informal cooperative group that pools together savings and investments. It is organised by local community members – usually women- and acts as an informal bank in the local community. Today, the ChamaPesa app allows you to create a profile and join or create a chama. Chama members have the option to open accounts in different contracts or other instruments. Therefore, the first two accounts of a member are for shares and Kenya shilling. Consequently, you can move money between accounts and use it for various purposes. The ChamaPesa app also ensures transparency within a chama. That means that members can view the treasurer’s account including information regarding spent money. In the future, a type of contract will be added to the app to enable an automatic “merry-go-round” chama. As a result, this feature will allow all chama members to directly send money via their mobile phones to the member who is supposed to receive it that month. What Does The Alpha Testing Stage Entail? 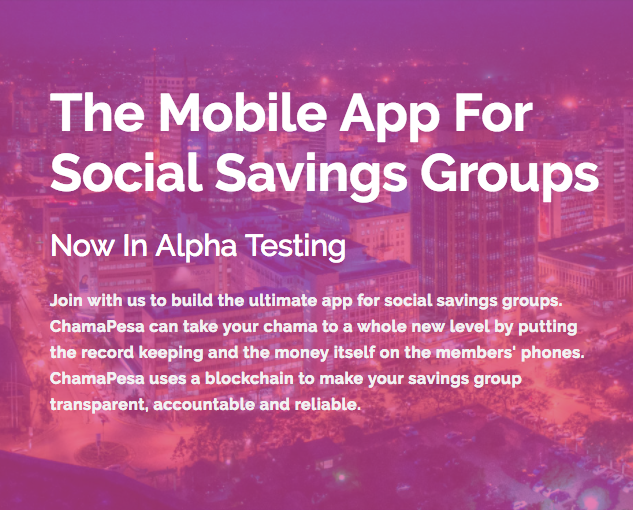 Presently, the ChamaPesa app is in the Alpha testing stage of development where hand-picked chamas are using the app and providing feedback to the development team. In turn, the development team uses the feedback given to polish up the app’s features in order to make it usable by regular chamas. The chamas involved in this stage use the app for a cryptocurrency fund where members make monthly savings. The money is then used to create a portfolio of bitcoin, ether, and other tokens. These cryptocurrencies are then secured on a hardware wallet by the treasurer. Eventually, the ChamaPesa team wants all of these processes to take place inside the app. The ChamaPesa distributed app (DApp) enables the distribution of chama information on a blockchain. So if a chama member loses their phone, they can easily recover their information through a secret passphrase. Additionally, the advantage of using a Distributed app means that no centralized server or company is keeping the chama money. Instead, the chamas create a decentralized distributed Kenya Shilling. ChamaPesa will undertake a token sale in the second quarter of 2018 while the public release of the app is scheduled for the last quarter of 2018. In 2018/2019, ChamaPesa will focus its plans on Kenya and the rest of Africa. From 2020-2025, the team will release compatible versions of ChamaPesa to other regions. The public should expect frequent releasing of content on the ChamaPesa website from January 2018. NairaEx is a popular Nigeria-based exchange that was launched in 2015 by Double JJ Enterprises based in Abeokuta Ogun State in Nigeria. NairaEx is a bitcoin trading platform that allows customers to buy and sell bitcoin and other e-currencies such as Perfect Money, bank transfers, and bank deposits, among other payment options. 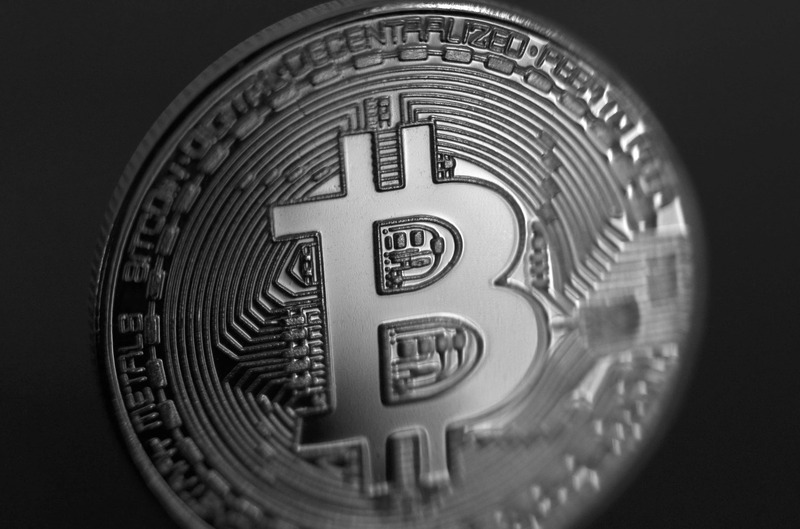 The exchange boasts user-friendly navigation and employs a unique pricing system; with both trading fees and other charges incorporated in the bitcoin price listed on the exchange. NairaEx is one of the fastest growing startups in Nigeria’s bitcoin ecosystem. Through its seamless transactions and transparent exchange rates, its trading platform has now become a popular choice among bitcoin enthusiasts who deal in the cryptocurrency. NairaEx CEO David Ajala told Bitcoin Africa that he launched the exchange to enables Nigerians to buy and sell bitcoin using the naira to facilitate bitcoin remittances. Given the restrictions Nigerians are facing when it comes to sending and receiving international money transfers, he viewed bitcoin as a welcome alternative to the existing options. “Considering the cost of remittances in Africa in general, bitcoin will prosper well into the future as transactions remain cheaper and faster, although a scaling solution will need to be found,” Ajala told Bitcoin Africa. NairaEx currently processes over 1 billion Naira worth of bitcoin transactions each month and the platform has accumulated over 100,000 users. It has become one of the most trusted exchanges to buy and sell bitcoin in the West African nation. “The future for NairaEx is likely to involve an expansion in services to accommodate a range of consumers. Currently, our service is exchange and remittance centered, but as bitcoin use and adoption increases, we hope to provide merchant and corporate services to complement our current offering. As our blockchain service matures, we may also launch Bitcoin investment funds to allow consumers to profit from the extremely volatile crypto markets,” Ajala told Bitcoin Africa.